Set 10 years after the events of the original, Stronghold 3: Gold follows the vengeful story of The Wolf in the third mainline instalment of the award winning castle-building series. Besiege The Wolf – Three story-driven campaigns continue the tale of the vengeful Wolf. Design Your Stronghold – Build mighty castles with unique layouts using new freeform construction. Get Medieval – Protect your village and peasant community as an entire medieval economy springs to life. 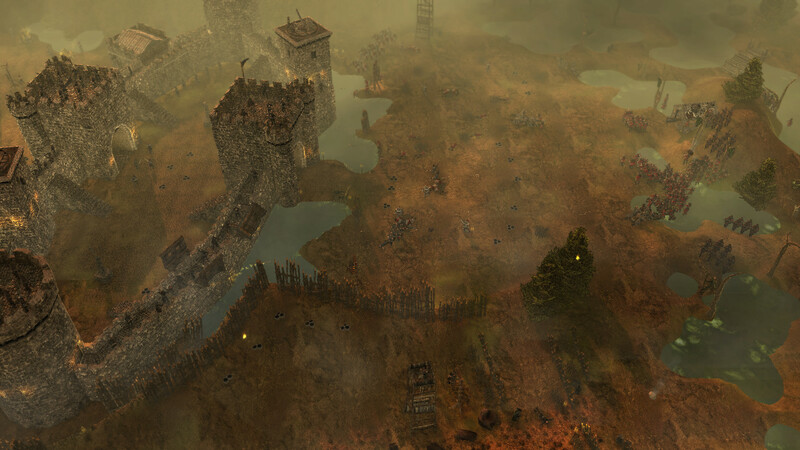 Simulate Destruction – Realistic physics and night-time sieges make siege warfare more brutal than ever. 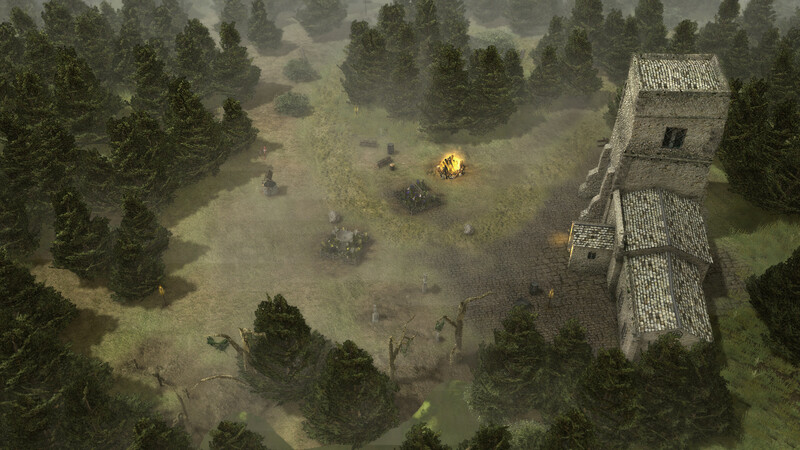 Rewrite History – Attack or defend famous castles from the pages of history. Succeed where others failed! Conquer Your Friends – King of the Hill and Capture the Flag allow you to besiege other players online. 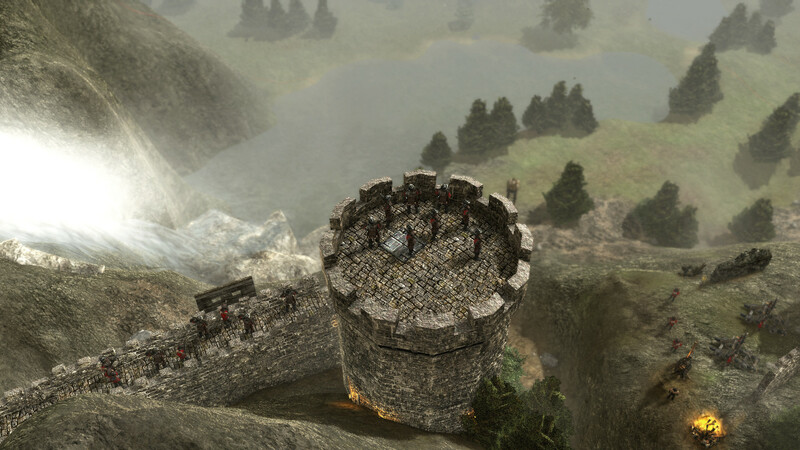 Attack or defend famous castles from the pages of history – Succeed where others failed! 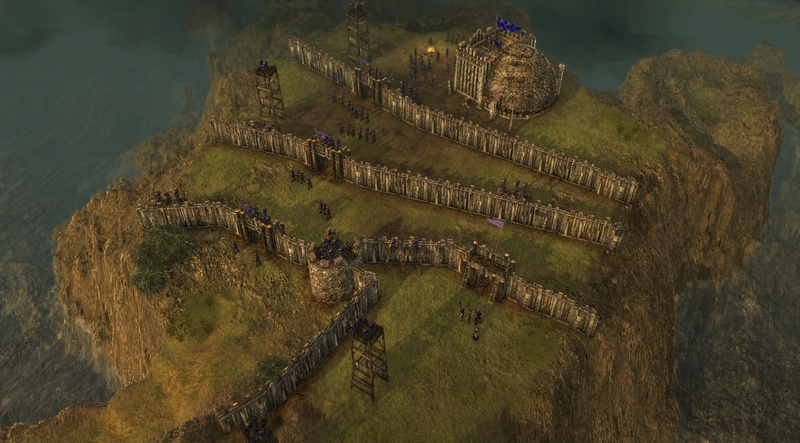 Stronghold 3: Gold is the long-awaited third instalment in the award winning castle-building series. Set 10 years after the events of the original Stronghold (2001), The Wolf has cheated death and now plans his revenge on medieval England. Becoming even more bitter and twisted during his painful recovery in the east, the vengeful Wolf is on the loose raiding villages and towns in the dead of night. Your arch nemesis has created a tide of panic that only you and your allies can stand against! 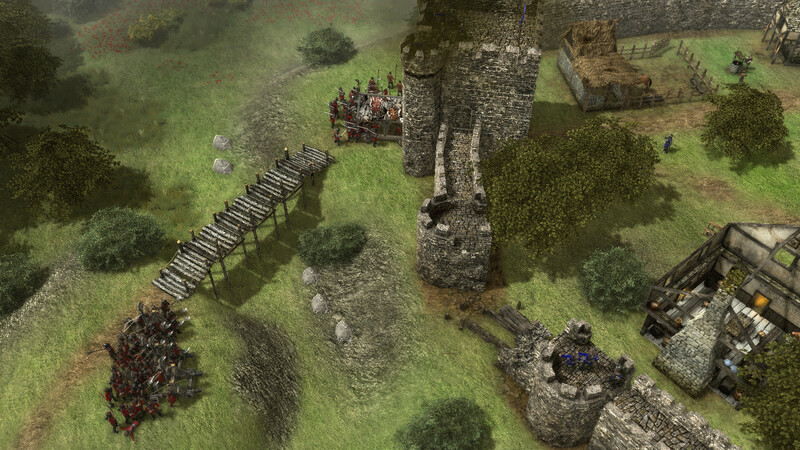 Stronghold 3: Gold mixes real-time strategy and village sim gameplay with dramatic castle sieges featuring hundreds of units. A keep packed with features include realistic physics, intricate castle design, story-driven campaigns and numerous multiplayer modes. The new Gold edition includes all extra content, updates and tweaks added to Stronghold 3 since launch, as well as an entirely new ‘Blackstaff’ campaign. As a package Gold features three core story campaigns including Blackstaff, a Freebuild sandbox mode and four flavours of multiplayer including the new Coronation mode! 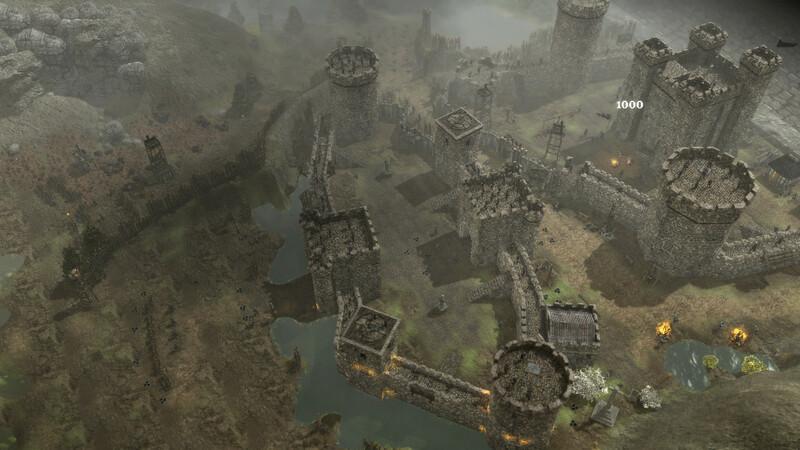 Stronghold 3: Gold also includes all 12 historical sieges, previously only available through special editions of the game. Set during the events of Stronghold 3’s military campaign, Blackstaff is an all-new single player campaign following Thomas Blackstaff as he hunts down the three escaped sons of The Rat. Your journey will take you across the sea to your former home on Greyshore Island and pit you against the evil Brotherhood, who forced you into exile as a child. It’s up to you to banish these invaders from your land and reclaim Greyshore!